Finally, a visit to the German part of Switzerland and the second largest city which btw is also known to be the most flamboyant. ZURICH! The city is beautiful, but generally, it was not unique to that of other European cities, in terms of architecture and social offerings. The area we spent most of our time was Zürich-West / Hardbrücke / Escher-Wyss-Platz – an 8 min tram ride from city center and an up and coming modern area for Zurich’s trendy and edgy crowd. For some reason we didn’t come across any tourists, perhaps because tourists don’t know of this area or simply prioritize city center. Anyway, we certainly didn’t mind that the majority of people in this area were locals. So, this particular area in Zurich was originally a run down area full of decaying warehouses, but it’s quickly becoming the new heart of town where the former industry buildings have been transformed to hip restaurants, bars and clubs. In the evening the energy of the area is eclectic and buzzing. 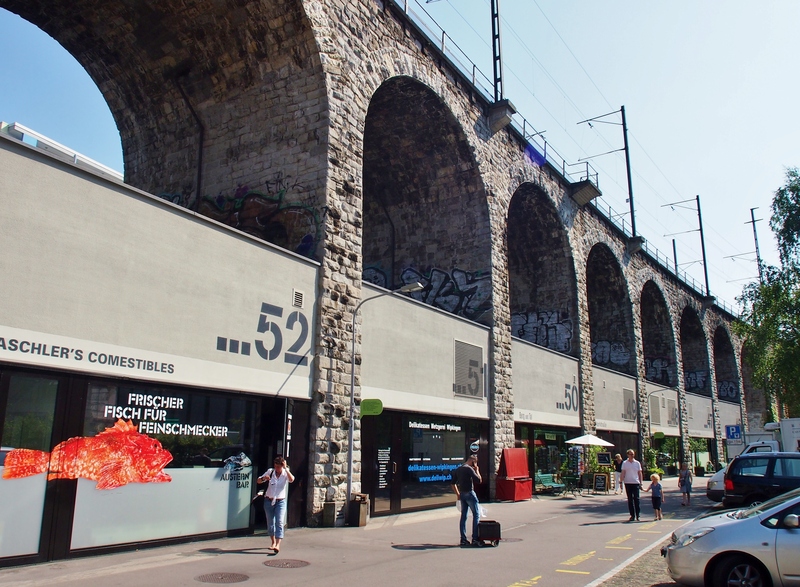 Its main attraction is the ‘Viadukt‘, a stretch of shops, restaurants and bars built into the arches of the old railway viaduct. It’s a hipster’ish kinda place that aim to bring a new and upscale creative vibe to Zurich’s district 5 also known as “Industriequartier”. It is apparently THE area to be at the moment in Zurich. What was interesting about the Viadukt is that it has this community feel to it, with its own fresh food market, niche fashion stores, interior design stores and organic restaurants. 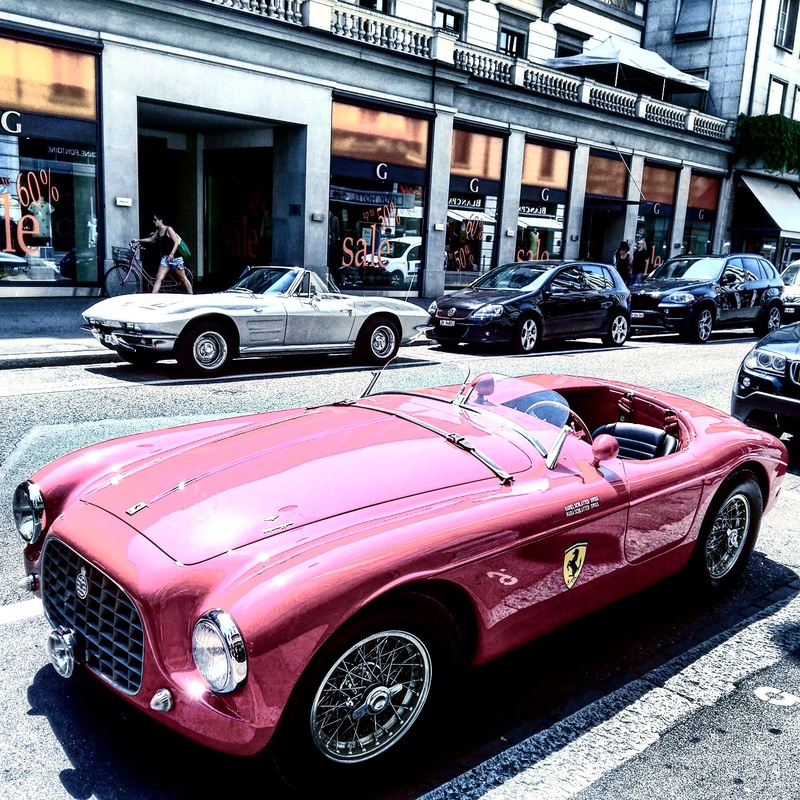 You will also find a couple of modern art museums and galleries. There is a vibrant park where people bring their children to have picnic during warmer days in a very laid back environment with artsy-looking people. There were two restaurants we found interesting; Rosso and Restaurant Viadukt. We were also at Frau Gerolds Garten, which has open-air bars during warmer seasons and was packed with locals (trendy or not) socializing and drinking wine/cocktails from plastic cups in an all so unpretentious setting. For a more upscale spot in West Zurich – try the Nietturm bar & lounge for drinks and view (make sure to check for private events before you visit). If you want to kick it up a notch, try the Prime Tower with its nice 360° view restaurant/bar called CLOUDS (the place even has its own Gin brand). It was closed when we were there, but it’s apparently worth checking out and a good idea to book well in advance. If you prefer a more stylish setting with a bit older, fashionable clientele, try Aura and Carlton in city center. We didn’t get to check out the Chinese garden, which we were tipped by a local to visit. Razzia is also an ‘it’ spot in city center…unfortunately we didn’t get to visit this Cinema-turn- restaurant-bar/lounge..why you ask? because we were too late to make table reservations. 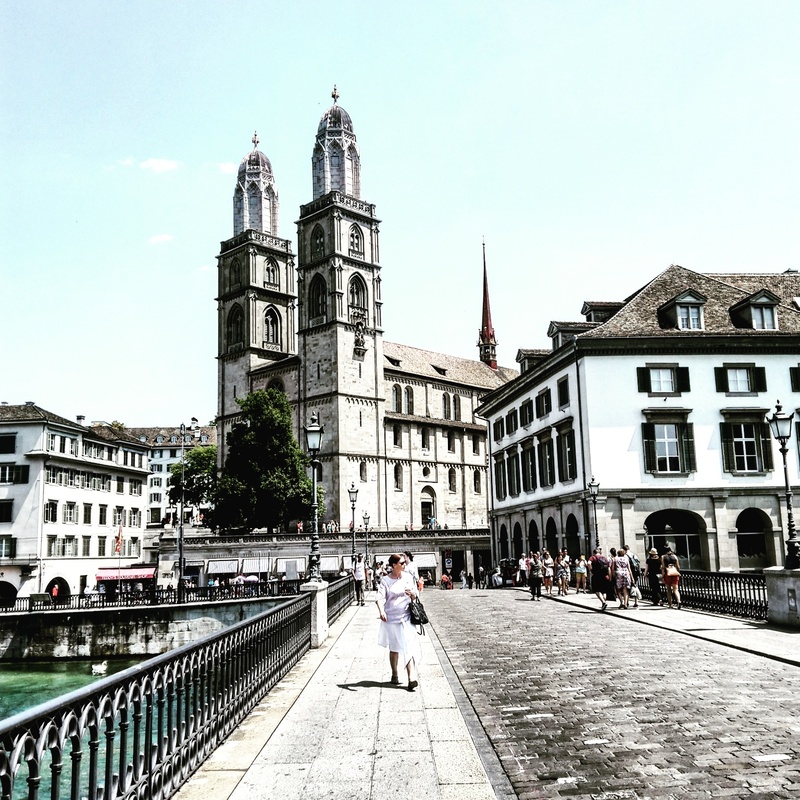 There is so much more to see and do in Zurich….such an edgy and diverse city. If we were to visit again, we would avoid the hottest summer season but rather towards late summer and spend some more time exploring the other districts.